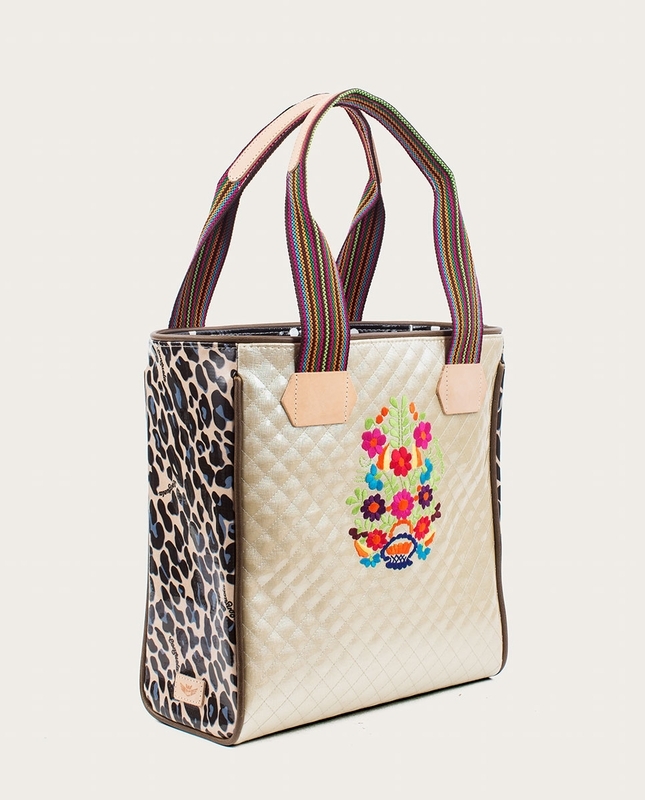 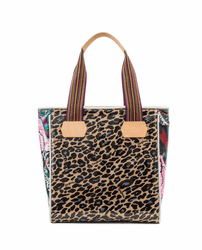 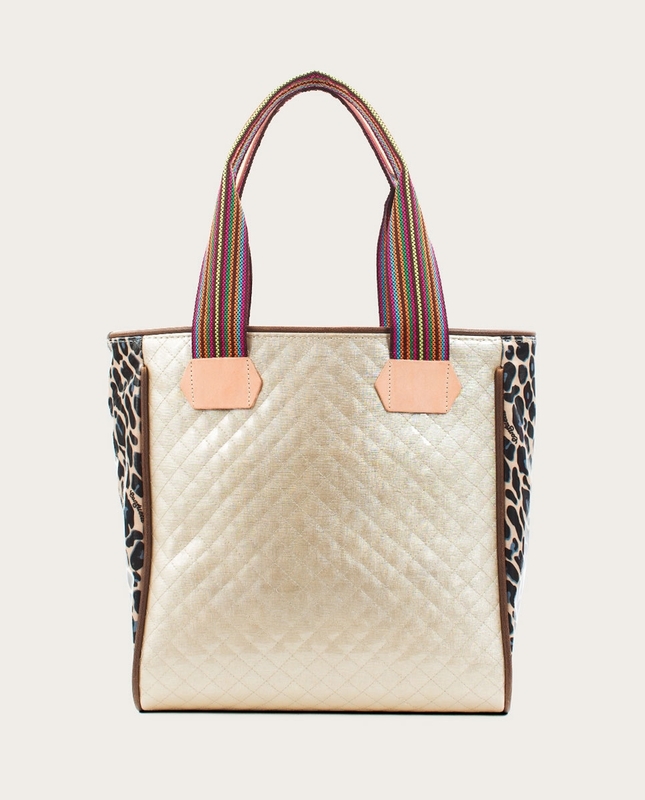 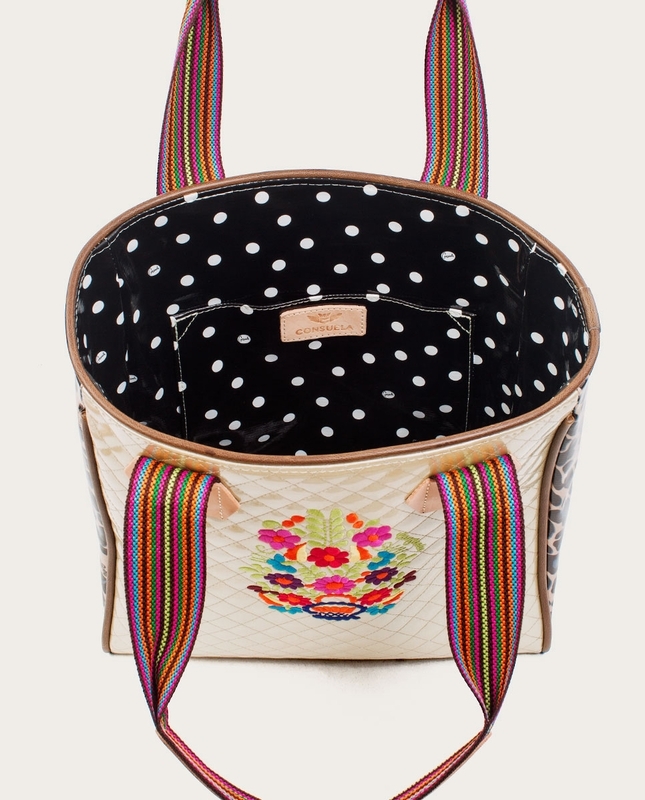 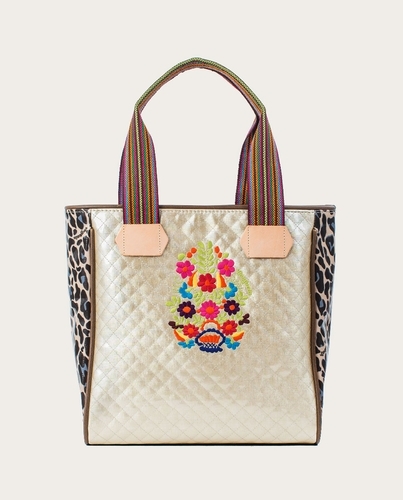 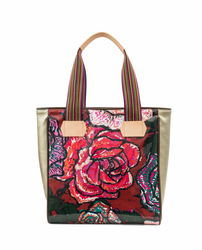 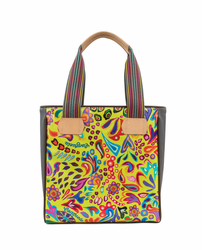 For the Isabel Tote, Consuela has embellished iridescent Champagne quilt with their classic floral embroidery, combined it with Blue Jag print sides and multi-stripe webbing handles. 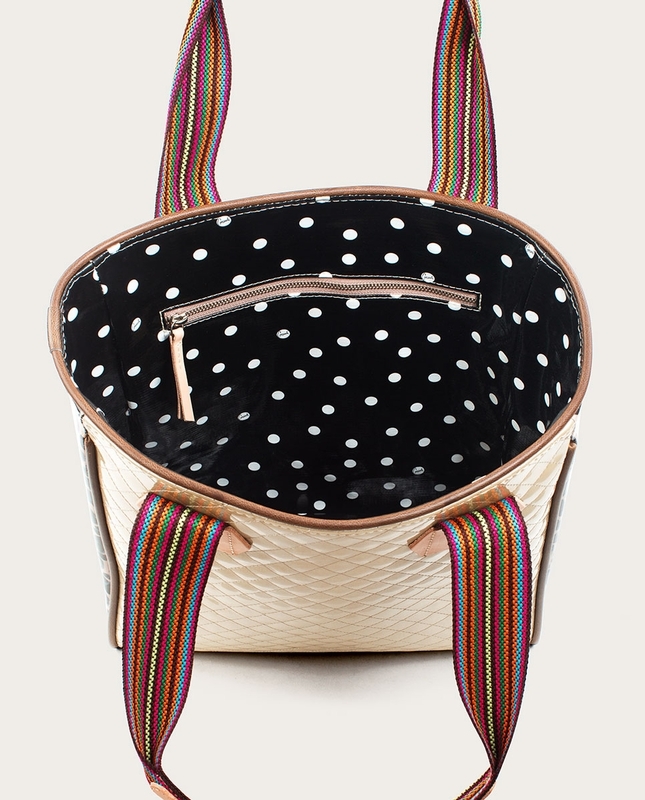 Trimmed in natural leather and lined in Black Dot ConsuelaCloth�, this tote includes an interior slide pocket and zip compartment for extra security. 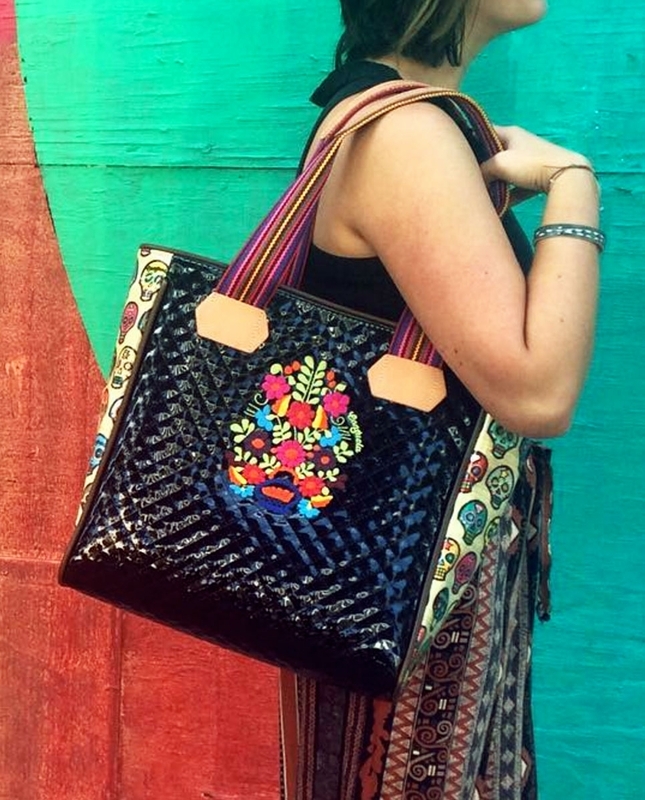 LIVE IN COLOR!